Click on the cover above to download the PETS outlines. The 2015 PETS was held in Young on the weekend of February 27- March 1. 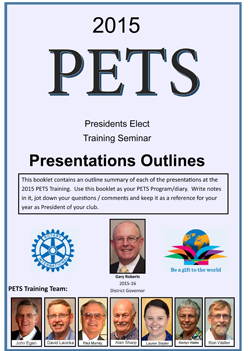 This site includes below downloads of the training information provided at PETS.